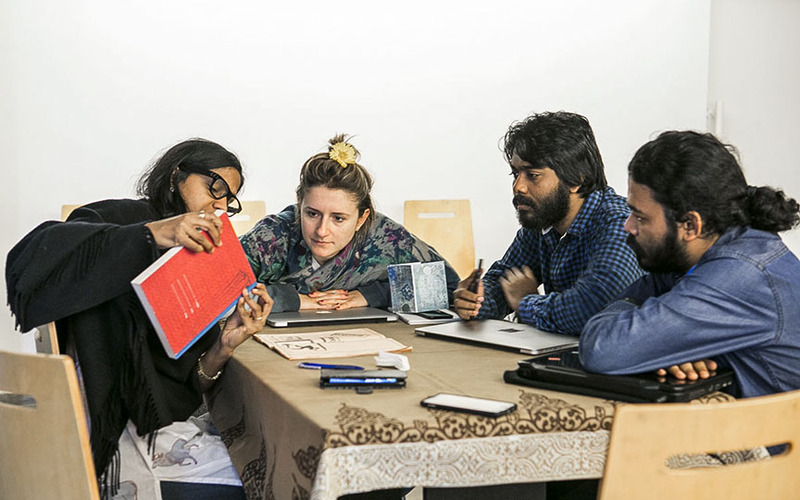 Yeoh Lian Heng, a founder of Lostgen's in Malaysia; Sharmini Pereira, the founder and director of Rakng Leves in Sri Lanka and Alice Ko, Taiwan based independent curator and researcher, were the conductors of the workshop. The workshop blended theoretical approach through dedicated lectures with peer-review and advice on curatorial projects developed by the participants. To maximise the contact with the conductors, the exchanges on projects took place in small groups during which each participant had the opportunity to explain past curatorial endeavours and elaborate on future plans. The conductors delivered advice and guidance in their specific field of competence and also presented individual introductions to their practice. The participants also learnt some concrete examples of methodology and problem solving in the field of curatorial practice.